The Center for Teaching through Children’s Books is dedicated to excellence in teaching with quality literature for children and adolescents. The Center for Teaching through Children’s Books’ Donation Station program encourages book ownership by partnering with organizations to bring books into the hands of children and adolescents. 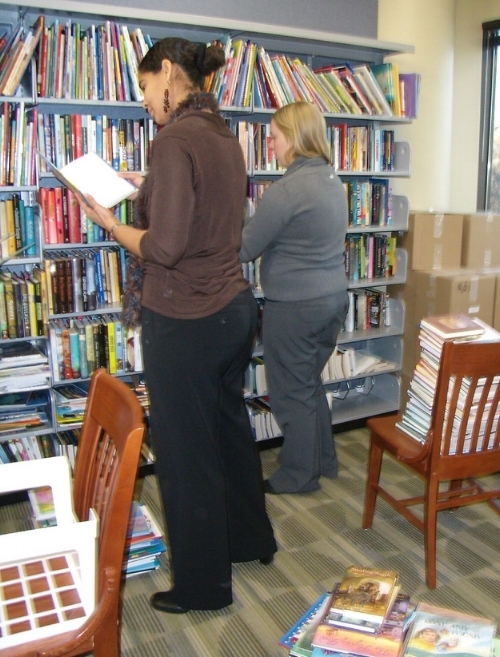 Every year CTCB receives multiple copies of books by publishers of children’s and young adult literature. In accordance with CTCB’s mission of promoting issues of social justice and fostering a community of children’s literature educators, scholars and readers, the Donation Station program invites schools, libraries, social service agencies and other organizations to apply for a donation of books to distribute to children and young adults in connection with a sponsored program or event. Applicants must demonstrate need for the materials and provide a detailed distribution plan. Upon approval, books are selected by representatives of the organization who work directly with children and families served. The amount of books selected provide for enough items to ensure that each child has a choice of the books selected. Books cannot be used for resale or fundraising purposes and recipients of CTCB Donation Station awards are responsible for any shipping and handling charges incurred.